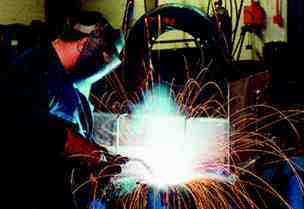 The strength of Polydons welding and fabrication comes from its flexibility. We can supply all forms of welding from sophisticated modern robots, highly accurate and extremely efficient, to traditional skilled manual welding. Organised into autonomous cells of MIG, TIG and resistance welding, Polydon can economically handle any job regardless of volume or complexity. Polydon have the facilities and capacity to accept both large and small fabrications from vehicle chassis, enclosures, hoppers, conveyors and tanks to street furniture in a variety of materials including stainless steel, aluminium and mild steel.